The Mazda 2 has taken the title of the Car of the Year for 2014-2015 in Japan just weeks before the car’s press debut in November. 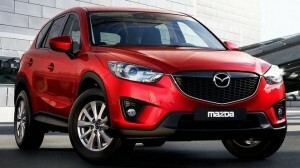 Apparently the Mercedes Benz C-Class wasn’t to fgar behind the Mazda 2 and missed out by as few as 19 votes! 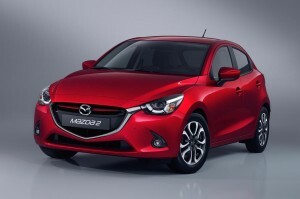 So what exactly is it which puts the Mazda 2 atop of the Japanese list of wants when it comes to automobiles? Well apparently the judges were keen on the engine range with both the diesel and petrol options offering good fuel economy and decent affordability. Another thing that helped convince the judges was the SKYACTIV engine technology and the car’s new and improved cosmetics. It also has a few ‘firsts’ under its belt, including being the first car of its class to feature a HUD. Also whilst it is a supermini, Mazda have apparently made the absolute most of the cars interior space which means even the passengers have an ample amount to enjoy. Mazda are obviously a pretty big deal in Japan with the Mazda CX-5 crossover taking Japan’s Car of the Year title back in 2012, a car which also impressed in good old Blighty, so you can probably expect to be a fan of the Mazda 2 as well, but i guess we wont know for good until next month when it gets its official press debut. So far we know the Mazda 2 is due to go on sale in early 2015, and we assume the basic/cheapest model will set you back around the £11,000 mark.